Can I just brag about myself for a second? So I have NEVER had good handwriting and whenever I get an order to put names or any lettering on cookies it gives me serious anxiety.. nightmares even. 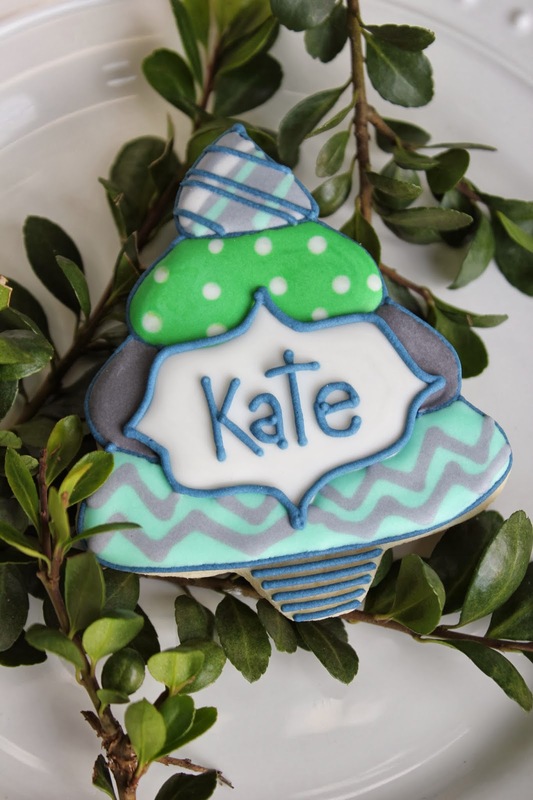 Most professional decorators have a kopykake projector that projects the image or LETTERS onto a cookie and all you have to do is trace! It's pretty sweet. But I don't have one of those. I do absolutely everything free hand and sometimes it shows. Especially when it comes to letters. But these came out looking uniform and (here comes the bragging) pretty dang good if I do say so myself! Yay for me ;).... but really. I was pleasantly surprised to see I'm getting better with words. One day I'm sure I'll get my Kopykake, but for now I'll keep working on my free hand. Hope everyone is having a wonderful winter!